Nautica Nicole Bouvier, aka, Jevon D. Berry, age 34. was born December 12, 1983 in Richmond, IN with a fierce mentality that echoed “I’ll do what I want, when I want, and how I want” and peacefully transitioned with family surrounding her from this life to her divinely promised eternal life and place of peace on Sunday, June 10, 2018 in Columbus, OH. Nautica was Vibrant, extraordinary, unique, head strong, fashionable, talented, loving, caring, and a blessing are just some of the few salutations genuinely used to describe Nautica. She touched the lives of countless individuals through her strength, love, and appreciation to all those that were fortunate enough to meet her. She achieved a plethora of goals, such as obtaining her legal STNA license, which was geared from the heart fashioned by God for her. Nautica’s professional career was a personal extension of love and compassion for those who encountered her was immensely impactful, and a true testament and representation, that no matter what the circumstance, trial, tribulation, or storm, a lending hand of help to a place of recovery, was the countless and profound vessel she humbly allowed God to instrumentally use her for. Nautica was a catalyst of hope and triumph for her family, friends, and the community. Her amazing spirit will be missed by all she so strongly and graciously touched. Nautica is preceded in death by her maternal grandmother the late Patricia Berry of Richmond, IN., and grandfather Pete Williams of Dayton, OH. She leaves to cherish and honor her life, memory, and legacy; mother Rene’e Djuna Berry, father Jay Jones, grandmother Paulette Golden, children Poppi Chulo, and Sasha Berry-Bouvier, siblings Giovanna Bennet, Keiandra Jones, Jasmine Olinger, Jay Jerome Jones, Jordan Michael Jones, Jaleah Jones, favorite cousins April Suarez and Renee Adams. Pre-destined and purpose driven, God saw fit that in addition to her biological family, Nautica would be blessed to inherit a blended family that became an extension of love and mutual understanding to the impactful uniqueness that bloomed from her soul and exuded through her imputed array of talents. She also leaves to cherish and honor her life, memory and legacy; blended mother Angela Powell (Mother Bouvier), father Horace Powell, children Antwan McNeal, Jada Reynolds, Ebony Jackson, Kelvin Johnson, Shawn Scott, Milan Maurice, Courtney Bouveir, siblings Tyneisha Bouvier, Bianca Debonair, Donshaye Burston, Sunshine Bouvier, and the late Michael Favors, and an astronomical host of loving aunts, uncles, nieces, nephews, extended family members and friends. May her diamond light continue to shine. Visitation 2:00pm and Funeral 3:00pm Saturday, June 23, 2018 at Marlan J. Gary Funeral Home, The Chapel of Peace East, 5456 E. Livingston Ave. The Labeija family would like to send our condolences to you all in your time of need. Nautica will be deeply missed she was amazing. To the family of Nautica, you have my deepest sympathy in your loss. Death is truly difficult, especially when it is a young person with their whole life ahead of them. Romans 6:7 says, “For the one who has died has been acquitted from his sin.” Verse 23 of that same chapter says, “For the wages sin pays is death, but the gift God gives is everlasting life by Christ Jesus our Lord.” May you rely on God’s promises to get you through this most difficult period. 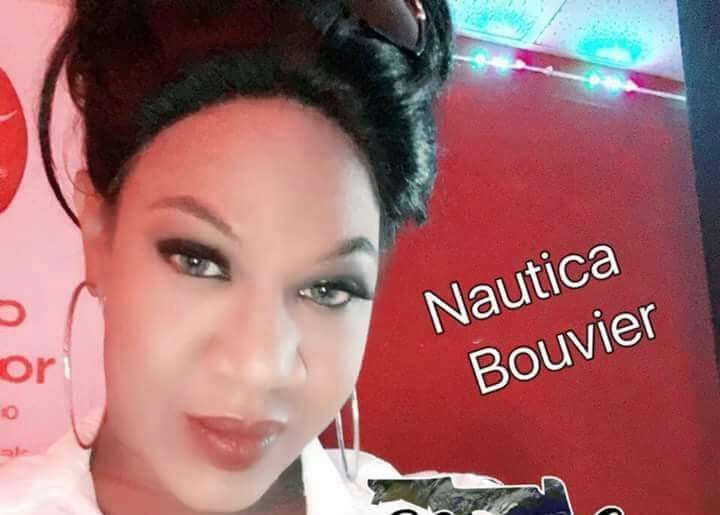 The house of Labeija would like to send our condolences to the house of Bouvier during the passing of Nautica. She was a pioneer in our community and she will be greatly missed. Please accept my deepest sympathy for your loss. May you find comfort in God’s promise to restore life to your dear loved one and for you to be reunited in the regained Paradise (Hosea 13:14 and Luke 23:43). Until those promises are fulfilled, may God grand you the strength to endure. As you recall the fondest of memories shared, may you have a measure of peace and a smile on your face.